Current fashions in activewear are pretty much exclusively for a narrow, close-fitting ankle on leggings, but this wasn't always the case. 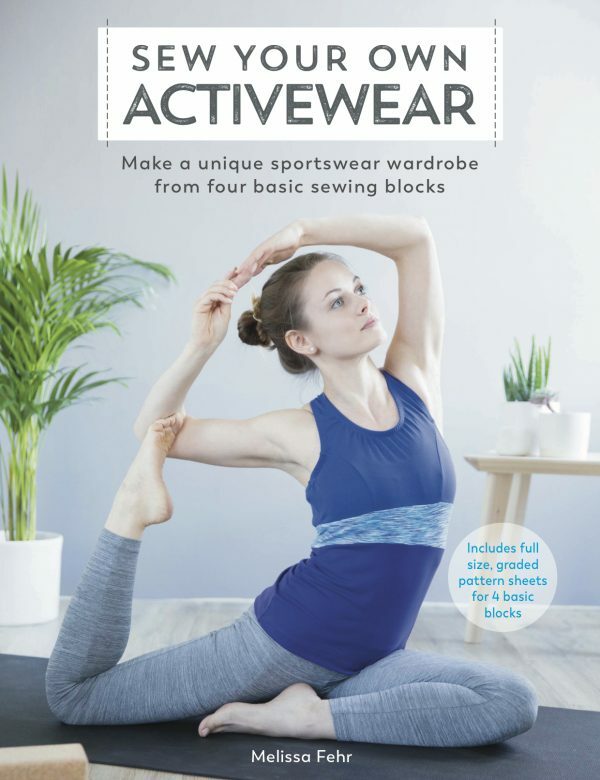 Just as in the wider fashion world, activewear follows current trends and what goes up must come down and wider legs will surely come back around again! When I started running in the early 2000s, my first few pairs of running trousers were all bootcut, and I know there are people out there who prefer a wider ankle opening on their activewear, too. 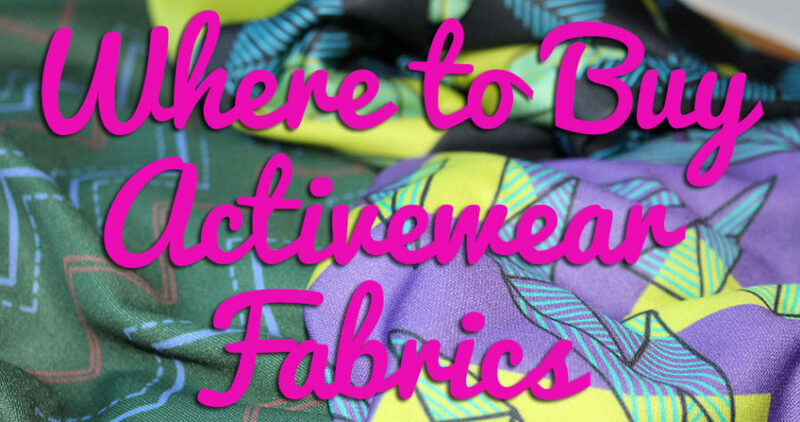 After all, do we not sew in order to have our clothing exactly the way we want it? Luckily, altering the Yoga Bottoms in order to have a straight leg or bootcut is really simple. As this design doesn't change much from the block below the knee, you can actually make this alteration at any stage before cutting the fabric, but if you'd like to do the same to, say, the Active Leggings, you'll want to widen the lower legs of you block before following the pattern change instructions from the book. Current fashions in activewear are pretty much exclusively for a narrow, close-fitting ankle on leggings, but this wasn’t always the case. Just as in the wider fashion world, activewear follows current trends and what goes up must come down and wider legs will surely come back around again! When I started running in the early 2000s, my first few pairs of running trousers were all bootcut, and I know there are people out there who prefer a wider ankle opening on their activewear, too. 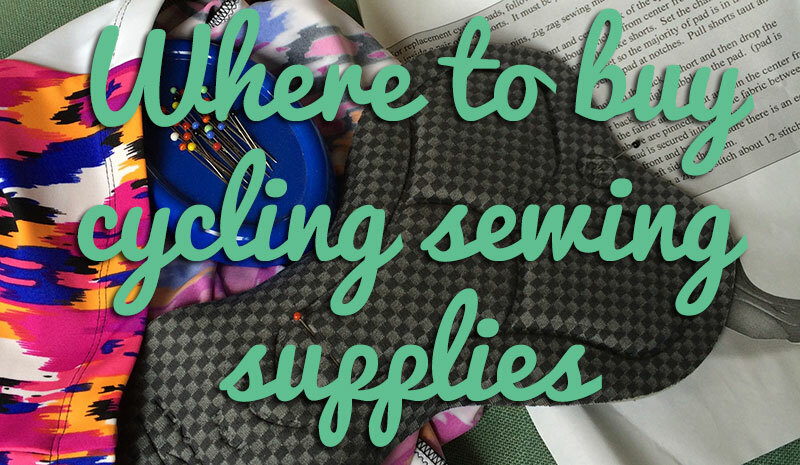 After all, do we not sew in order to have our clothing exactly the way we want it? 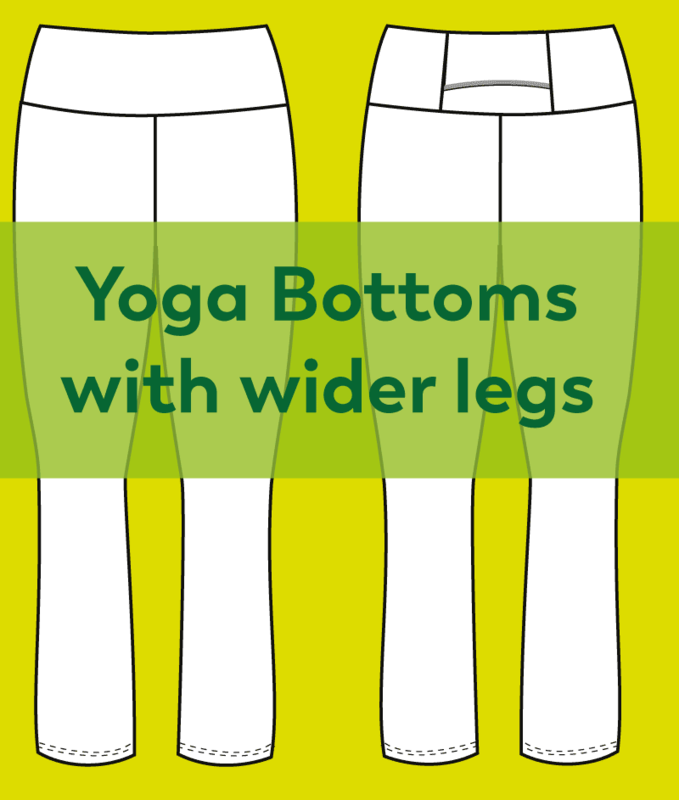 Luckily, altering the Yoga Bottoms in order to have a straight leg or bootcut is really simple. As this design doesn’t change much from the block below the knee, you can actually make this alteration at any stage before cutting the fabric, but if you’d like to do the same to, say, the Active Leggings, you’ll want to widen the lower legs of you block before following the pattern change instructions from the book. First of all, work out how wide you want your opening to be at the ankle. You can do this by wrapping a tape measure around your ankle in a wide circle, or by measuring the hem of another pair of bottoms you’d like to copy. 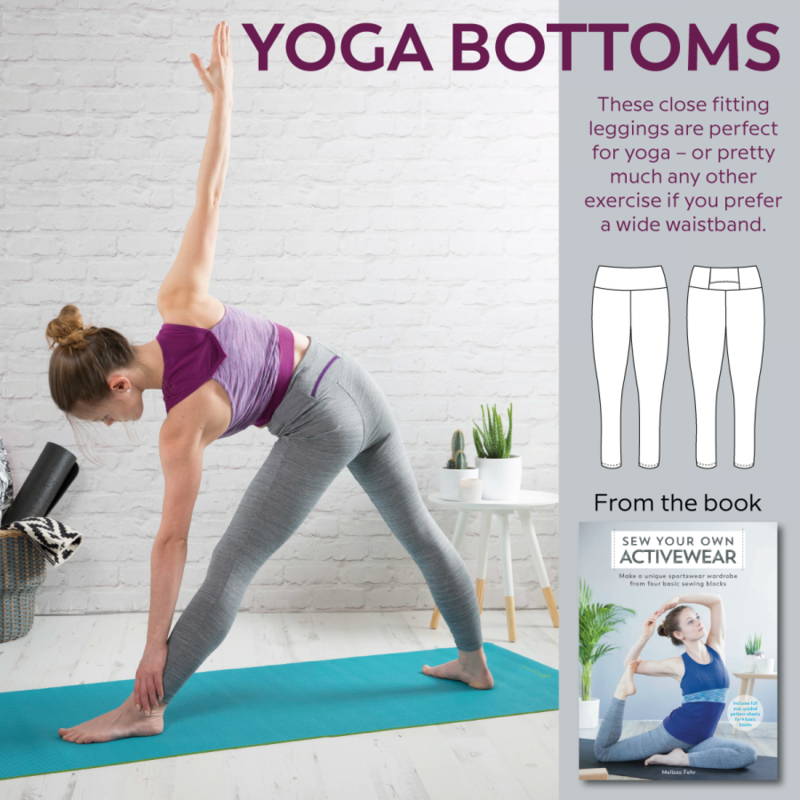 Measure the bottom edge of the Front and Back of your Yoga Bottoms (or block), and subtract this from your ideal hem measurement taken above. Because this difference needs to be added evenly to the inseam and outer seam of the Front and Back, divide this difference by 4. So if you’d like a hem with a circumference of 32cm and your current Yoga Bottom hems are 9cm each, then 32 – 18 = 14, 14/4 = 3.5cm to add onto each side of the Front and Back hems. 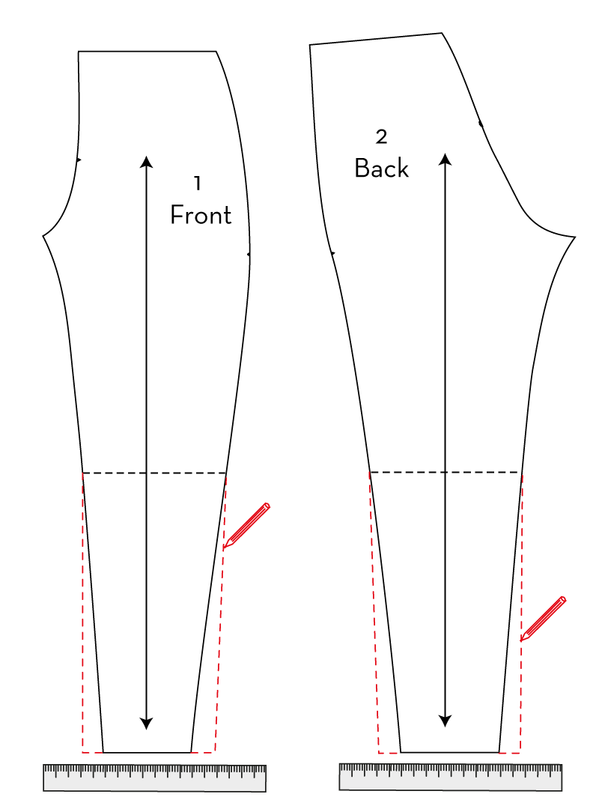 So add that quarter measurement to either side of the hems on the Front and Back, and then draw in your inseams and outer leg seams up to join the original line at the knee, ensuring you’ve got right angles at the hem. It really is that easy! You can use the same method to make the openings as wide or narrow as you’d like, from leggings to straight leg to bootcut to flares to wide leg to palazzo, even! Separator image Posted in Inspiration and tagged with exercise, sew your own activewear, SYOA yoga bottoms, tutorial.